Our Kia dealership near Ozona, TX offers a wide range of new and including Kia Stinger, Niro, Cadenza, Forte, Optima, Rio, Sorento, Soul, Sportage and the new Kia Telluride in stock now. Browse our online inventory, see MSRP, vehicle details, color options and trim levels. When you find that perfect new Kia Car or SUV, let our Kia financing team explain finance and leasing options. They can help you take advantage of current special offers or factory incentives and arrange affordable monthly payments. In addition to our extensive selection of new Kias, we also have a beautiful array of Used Cars and Used SUVs for sale. We have pre-owned vehicles from a variety of manufacturers including many used Kias. We offer used car specials and cars under $15,000 for those on a budget. Just ask us about our Used Kia specials and other discounts on used cars. 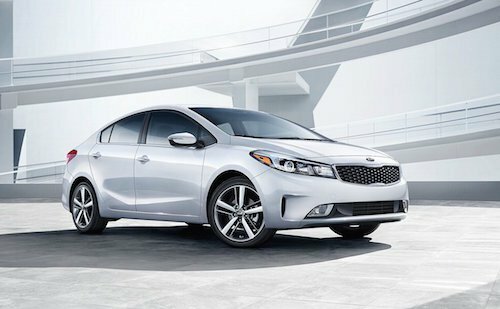 In addition to our great selection of new Kias and used cars we also offer Kia dealer service, collision repair and a fully stocked Kia parts center. Take advantage of our auto service coupons and Kia service specials for oil changes, tune ups, brake service, and much more. So why not stop by and meet the team? We’ll take great care of you and your vehicle at our Kia dealership near Ozona, Texas.